Kathryn's HEAL'S Elements Range. Short listed . 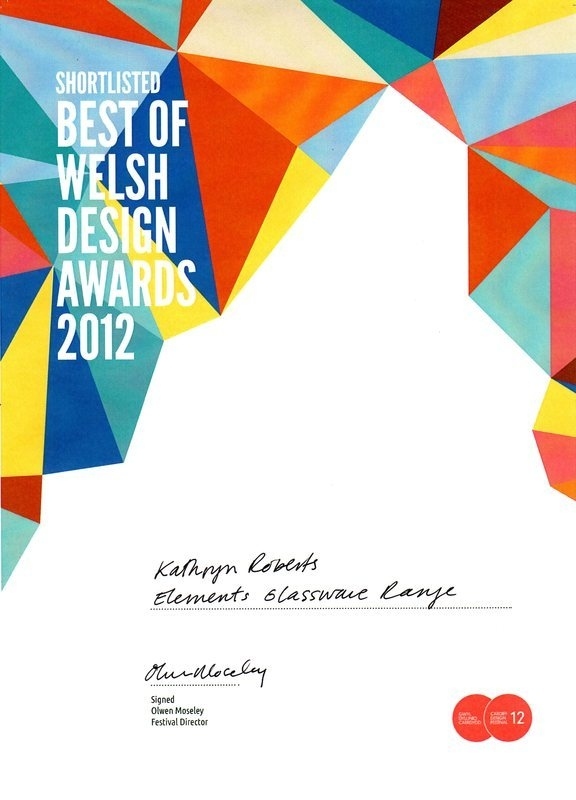 2012 Cardiff Design Festival - Best of Welsh Design Awards.